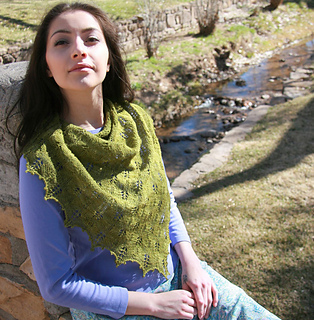 I fell in love with the fir cone stitch that is the basis for this design years ago. 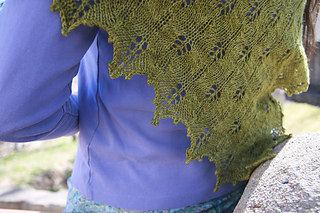 I even used it once before, as part of a much more complicated shawl design (In the Woods). It’s simple beauty has been calling to me again, and so I thought I’d use it in something where it could stand out, where its own beauty, its simple elegance could really shine. 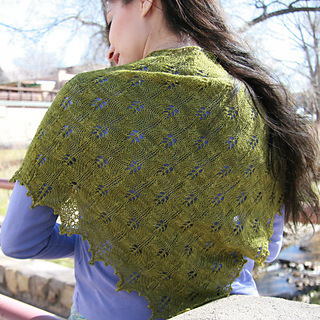 This triangle starts with a cast on of only four stitches. 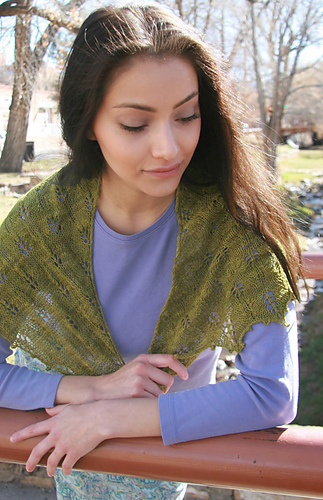 It can be knit in different weights of yarn, to a given size, or until the yarn runs out. Five sizes in two different weights of yarn are provided in the pattern, as well as the option of two different bind offs, use whichever one you want, depending on how much yarn is left when you reach your desired length, and what kind of edge you prefer: plain or fancy. Needles: US 6 (4 mm) for either size yarn. 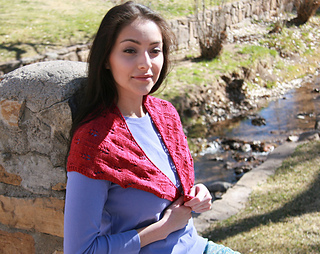 Skills: k2tog, ssk, YO, picot bind off (optional). 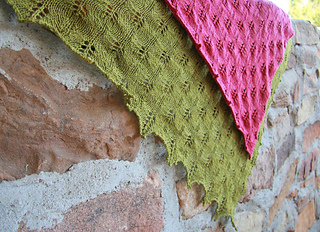 Yarn: Lace weight; 250, 400 (600, 850, 1100) yards. 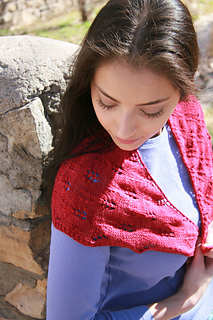 Gauge: 20 sts and 28 rows to 4 inches in stitch pattern, blocked. 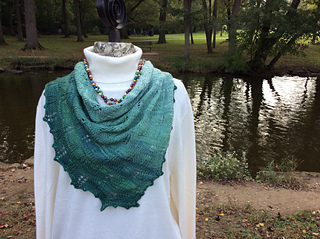 Gauge: 19 sts and 17 rows to 4 inches in stitch pattern, blocked.